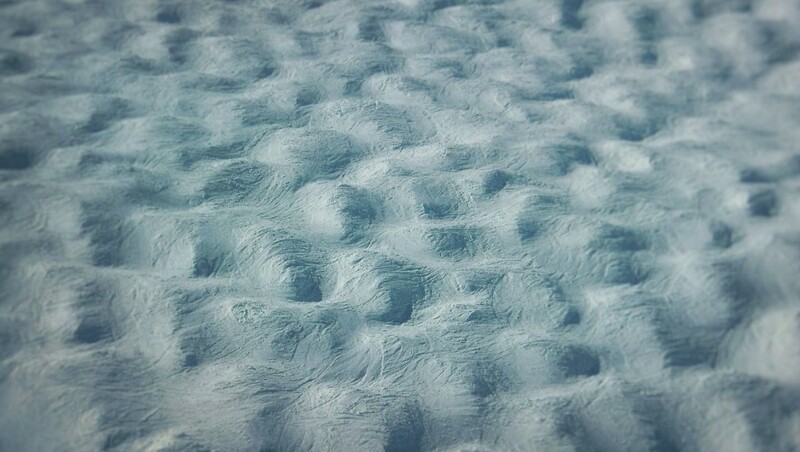 Moguls just exist! It is a fact of ski life. Now you could be the sort of skier who avoids them or you can become the sort of skier who masters them. Just like short turns, off-piste skills and carving, bump skiing is an essential part of a skier tool bag. Looking good on the mogul field will be physically demanding and will involve a few falls on the way but once you have mastered it you will command a little more respect and have a lot more fun! It is best to practice on some gentle bumps and work your way up to more challenging steeper runs. Another tip is to find a spot away from a chairlift full of people judging your skills! 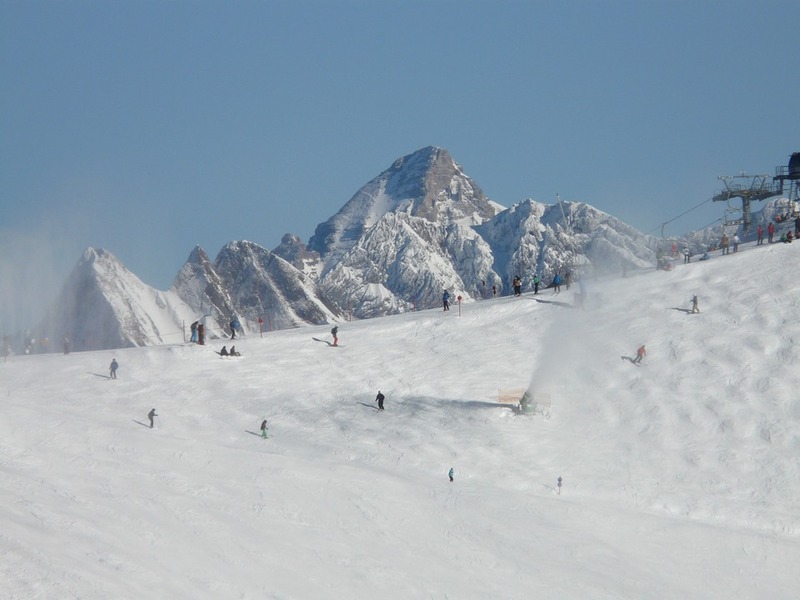 WHY NOT MAKE SKIING BUMPS ONE THING YOU WILL ACHIEVE THIS WINTER? To master bumps you will need to get your skis turning quickly and to do that you need to set your body up for the challenge. Your upper body should be slightly more upright than your usual skiing position, forcing your weight over the middle of your skis. As you move through the mogul field you will want your upper body to remain calm and let your legs do the work, turning from the hips. Ideally, you want your legs to absorb the bumps as your torso and head remain at the same level while keeping your skis in contact with the snow at all times. There are three ways to take on individual bumps but your goal should be to master all of the techniques and go for a holistic approach to taking on the bumps. First of all, your technique needs to follow the basic rule of allowing the bumps to push your legs up absorbing the impact and then let your legs naturally push out as you decompress. Turn 1. The top turn. Head up it the bump and make your turn at the top when your legs are compressed then let the bump aid your next position. Turn 2. Turn around the bump. There are natural pathways around moguls and often it is easiest to take this line. You will need to narrow your stance a bit for this. Turn 3. In to the back of the bump. This is a great turn to use to the help you slow down and gain control. Make your turn into the back the mogul and use it to decrease your speed. Arms should be a little closer in and you should be making clear & positive pole plants on the back of the mogul. Be careful not to let the pole drag as it will pull you out of your rhythm and you will lose your balance. Tip: Start off slow and work yourself into a comfortable rhythm. The path you choose through the mogul field should follow the fall line. It is for this reason you will be a better mogul skier if you use all a combination of turns. Navigating a mogul field is a bit like a game of chess in that you should always be looking forward and planning your position 4 moves ahead. Keep your eyes pointed downhill and don’t fixate on the turn your making think of the turns you are going to make. If you want to master the mountain then a performance course could be the answer. We have a range of coaching from 1 week to 11 week courses designed to maximise your potential on the mountains. This entry was posted in Life in Ski, ski and tagged apres ski, bumps, moguls, skiing. Bookmark the permalink.